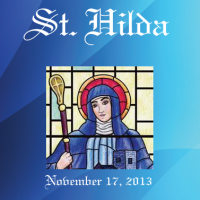 Join us as we celebrate the Feast of St. Hilda with the Archbishop, The Rt. Rev. Mark Haverland on November 17, 2013. Luncheon to follow.